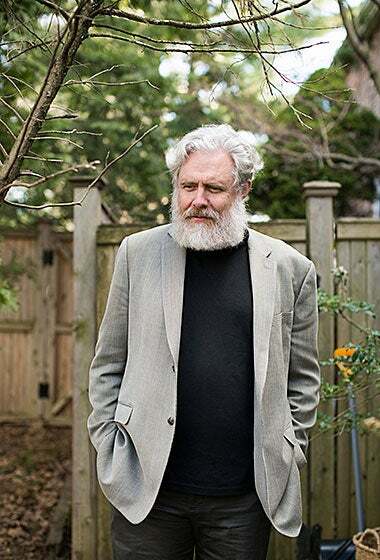 In 1986, Harvard “rescued” George Church — in his telling, at least — when the Medical School hired him as an assistant professor in its young Department of Genetics. In the decades since, Church’s efforts to make DNA sequencing faster and cheaper have helped drive a genomic revolution that is transforming science and advancing at a rate that surprises even him. Church, who worked on the groundbreaking international Human Genome Project to decipher humanity’s genetic code, is known for his outspoken style and willingness to engage with the public on ethically and technically challenging subjects, and for bucking the secrecy that typically surrounds human subjects research. His belief that promising privacy is disingenuous and that people deserve to see all their medical and genetic data led him to establish the Personal Genome Project, which integrates genomes with other data and makes that information openly available worldwide. The young Church struggled in the classroom to the extent that he had to repeat ninth grade and his first year of graduate school. Those struggles were offset by his voracious appetite for science, an ability to work independently, and a passion for laboratory work that has sometimes blotted out all else. Q: I saw that you were born on an Air Force base in Florida. A: I had three fathers, as my mother remarried. The first one lasted about eight months post-birth, and he was the Air Force pilot, a pretty colorful character. I knew him off and on through the years, up until his death. He was the sort of father that a young boy would admire, because he wasn’t tied down by actual responsibilities. That was Stew McDonald. He was called Barefoot Stew. He was inducted into the Water Ski Hall of Fame. He wasn’t a terrific athlete — I mean, obviously he was a pretty good one — but his real contribution to the sport, which was relevant to me, was that he was a good communicator. He was the first ABC “Wide World of Sports” color commentator. . . . He was also just generally charismatic: He was a male model, he worked on film, television stuff as well. Q: And he was your birth dad? A: He was my birth dad, but I don’t think he really influenced me that much intellectually. My second father was a lawyer and had the least influence. Third dad was a physician who had two pretty important roles. He sent me away to school, to an awesome high school. Both my stepbrother and I went away at roughly the same time. It might have been just to get the young teenage boys out of the house, but in my case it was very good. It was a liberal East Coast school, Andover, which is where the Bushes went, and [Harvard chemistry professor] George Whitesides, and a bunch of other interesting people. And the other thing he did was just being a physician. I could look at his medical technology and I somehow was enthralled by it. Q: Was his last name Church? A: Yes, that’s where I got the Church. Two big influences shaped my life. I think I was 10 when the New York World’s Fair came along. It was like a very intentional simulation of the future. I was totally taken in by this facade, because they had things like touchscreens, where you could draw a picture of anything, and then almost as soon as you punched “Go,” a weaving device would produce a fabric with a repeating motif that you had sketched. They had jetpacks, and amazing buildings made out of plastic, and the key one for me was they had animatronic robots, like Abraham Lincoln. He would clutch his lapels and I think he would stand up and deliver a speech. I got this illusion as to what science and technology was. I really felt like that’s the way the world should be in 1965. It didn’t take too long for me to become disillusioned. Not only was it not like that in Florida, it probably wasn’t even like that in New York once they shut down the World’s Fair. And it might not ever be like that if I didn’t do something about it. So I sort of felt like, if I want that, I have to work for it. Another thing that was very influential was I lived on the water most of my life. I lived either on the canals in Tampa, on an island, or on the bay in Clearwater. That meant I could kind of wander through the mud and find echinoderms. I found things that looked like starfish, but they were just like two arms. You could squeeze them, they would squirt water. I actually figured out what they were, and I figured out how dragonfly nymphs turned into dragonflies. I was using books — even though I had a lot of trouble reading. By using the index and using photographs, I could figure out just about anything. So that kind of set me on a course of independent study. I was not particularly well adapted socially. I had dyslexia, narcolepsy, OCD, ADD — all these things were very mild, but made me feel different. I was desperate that I would not stand out, which I now think quite common. But at the time — it felt scary. Q: You went to Duke for undergrad? A: One of the downsides of going to Andover was that as a Florida boy I became pretty sick of the cold after four years. So the only colleges I applied to were Stanford and Duke. I went to Duke, where I could place out of everything — math, physics, chemistry, and biology. My freshman year, I was taking all junior, senior, and graduate courses. I just wanted to see what’s the most advanced course I could possibly find in this university, and see can I handle it? My freshman year, I was taking a second-year graduate course in virology, and the professor found out about halfway through the course that I was a freshman. He says, “I don’t know how you got me to sign that thing, but you really shouldn’t be taking this course.” And I said, “Well, if I fail, I fail.” I did fine in the course. But I remember it was a real struggle. I spent more time on that course than my other four courses put together. But I did OK, and that basically told me there was no course I couldn’t take. So I finished two degrees in two years: chemistry and biology. I took a fair amount of math. Most of the math, physics, and computer science I did, I did extracurricularly, because I didn’t want to go at their pace. Biology and chemistry I didn’t mind, because there were labs I wanted to do and so forth. Q: How did you have time in two years to take all these courses? You had your prerequisites waived? A: I worked pretty hard. But science was easy for me, and math, and I just love doing them. Sometimes I could get away with barely going to classes. Other times, like in organic chemistry, I loved it so much I did every single problem set in the back of each chapter. They didn’t even assign any of them. I did them all. It was a full-year course, and I think I had finished the book, including all the problems in it, by halfway through the fall semester. That was pretty typical. But I guess the reason that I did it in two years was I was cheap money-wise. Like a lot of teenagers, I didn’t want to keep being a burden on my parents. Steve Jobs dropped out of college because he was worried about his parents’ finances. I didn’t drop out; I just finished early. I think I also had this feeling that if I took four years to do it, I would probably flunk out, so it would be better to just finish fast. That turned out to be true, that at about the three-and-a-half-year point, I did flunk out, but out of graduate school. A: Yeah, I just kind of continued. I started [graduate school] in microbiology, but by that time, I had already spent most of my sophomore year doing crystallography, which turned out to be the best match for me ever, because I’d been searching basically ever since the World’s Fair for a way that I could use computers, math, and biology all together, and ideally physics and chemistry while you’re at it. Crystallography did that. I was interested in crystallography, so I started the process of transferring from one department to the other, which happened, but it had negative consequences. The biochemistry department had no real commitment to me, because I had come in from another department. And I didn’t like the courses, because I’d already taken them. I didn’t keep that to myself. I said, why are you making me take “Enzyme Mechanisms” from Fridovich, because I’ve already got a B+ in that as an undergraduate? They said, well, you know, undergraduate is watered down. I said, no, it’s exactly the same course. They said, well, maybe they gave you an easy grade. I said, OK, I would listen. I took really good notes in the graduate classes [taken as an undergraduate], because I took them seriously. And I looked at my notes and he was verbatim. Same jokes, same everything. So I just stopped going to classes and I flunked two classes. But my research was going well, and to some extent it didn’t fully register that I had flunked out. My crystallography adviser, Sung-Hou Kim, had to pick me up as a technician, which he didn’t complain about. He was a really terrific guy. I’m still good friends with him. He went to bat for me, tried to get them to give me a second chance, and they said no. I had two F’s, so it just was not negotiable. Q: How old were you at this point? A: I think I must have been 20. I wasn’t a teenager, technically, anymore, but I still behaved like one. And I just kept going, assuming that everything was fine. Sung-Hou would tell me from time to time, everything’s not fine. You are not destined to be a technician. You’re designing experiments, and people like me aren’t going to necessarily let you do those experiments. He said, “You really have to apply to graduate school.” So I did. But still being extraordinarily immature, I applied to one graduate school, which was Harvard. I didn’t feel arrogant, but the arrogance of someone who flunked out of Duke applying to one graduate school is crazy. But I got in. I had applied to Harvard two years before and I turned down Harvard to go to Duke, which must have flabbergasted them at the time. It was the same department that I eventually got into. And so, to them, bureaucratically, they were just readmitting somebody that they’d already admitted, who in fact, in those two years, got five papers, some of which as first author. Maybe they didn’t notice the F’s, or they didn’t care about the F’s. Whatever it was, it was one of many times that Harvard has rescued me from myself. That was a pretty dramatic rescue. So I went to Harvard, and I said, OK, this time I’m not going to screw up. I matured overnight. Part of my problem was I was just constantly in this lab mode, where I’d spend 105 hours a week in the lab. I was just like on this treadmill of excitement. So I said, I’m going to take three months off and just read and think and plan. And I’m going to pass all the courses. Fortunately, there was really only one required course, which was taught by a crystallographer, Don Wiley. . . . It was a wonderful course. It was required and most of the people hated it. It had easily 45 hours of homework a week, and most people would leave it until the end of the week, and then they would just have to pull all-nighters and stuff. I would do it the second it was handed out. They’d hand it out, I’d go straight to the library, and I would finish it off. Somewhere in the early fall — I was still worried [about flunking] — I show up for class a little bit late, sit in the back, and on the slides is one of my papers. He’s giving a slide presentation on one of my papers. Don doesn’t know me at this point. He didn’t even make the connection between this paper and me. And I say, you know, I may actually pass this class. Years later I was a teaching fellow for that course. But I knew who I was going to work with. It wasn’t Don Wiley, because I’d already done crystallography. It was Wally Gilbert. Q: So what was it like working in these very high-end labs? Had Gilbert won the Nobel Prize by then? A: He won it after I’d been there three years. And he founded Biogen during that time as well. I was very excited about Biogen. So what was it like being in high-end labs? I took it for granted, quite frankly. I had gone to an elite high school, where I had access to awesome facilities, and I did independent chemistry. I would be in the lab by myself on Saturday morning, playing with dangerous organic chemicals, and it seemed perfectly ordinary to me. By the time I got to Wally’s lab, I considered myself an independent researcher. I did not consider myself a student. Even earlier, at Duke, I got an NSF [National Science Foundation] fellowship. I was not beholden to the head of the lab, or to my parents or anybody else. It was not an entirely rational self-evaluation, but I considered myself an independent scientist who could do whatever I wanted. I considered Wally as a very valuable member of the community, but he was just a bright scientist that I could talk to. And the companies I didn’t consider that special, [though] I think they were very special at the time. Most people considered them either with contempt or they considered them like some amazing thing that you couldn’t possibly dream of doing. Only Wally and Mark Ptashne could do that. And I was just like, oh, yeah, it’s another thing to do. Because even before I learned about Biogen, I had been a consultant for Bio-Rad. I was one of the first Biogen employees, while I was between my thesis and waiting for my girlfriend, who’s now my wife, to finish her thesis. But back then we were just planning on going to the West Coast for postdoc. So I waited for six months and I worked at Biogen. Q: Tell me about your thesis project. It seems to have had a pretty big impact on the industry. A: My thesis had two parts. The first part was working with a project that [French scientist] Bernard Dujon brought with him on a sabbatical. The second half of my thesis was on genomic sequencing, which is really what I had planned on doing when I came to Wally’s lab. During that 1977 summer that I took off thinking about things, I thought of all kinds of inventions having to do with homologous recombination and multiplex sequencing and so forth, which I’m still doing. Oh, and DNA nanostructures. And then I started knocking them off over the years. So the first half: Bernard Dujon came and there were no benches for him, and there’s no acknowledgement that he was there, even though he should have been an esteemed visiting professor. But he was a young professor. So he got a cart, the kind of cart that you’d push bottles around on, and that was his bench and desk. I said, “Hey, you know, you can use my bench.” I didn’t have much space, but I was willing to split it. I got to talking to him, and I got really interested in what he was working on, which ended up being the first intron with genetic function. He had discovered this intron — not knowing it was an intron — before Phil Sharp discovered his introns, for which Phil got a Nobel Prize. But Bernard had the first intron, the first gene-drive, and the first meganuclease, meaning the first way you could get a very specific cut. The meganucleases led eventually to genome editing, now associated with [editing tool] CRISPR. These are resonating with my lab today, but this was back in ’78-ish. Everything just seemed really cool with me. Most of the people around me had no idea what he was talking about. He had a French accent, and he was referring to the papers that were in, like, the fourth annual Brazilian conference on fermentation. That’s where they would publish back then. But I went through this, and I quickly got a couple of papers. So then I had four years without any publications, from 1980 to 1984 — zip — because I was working on this really hard problem, which was genomic sequencing. It wasn’t the first sequencing method by any stretch, but this one was the first instance of “multiplexing,” where you essentially got more information just by re-probing, which is the basis of most of the modern next-generation sequencing. I can’t say that I had conceived of every nuance of next-gen sequencing in that thesis, but there were some pretty significant components. Anyway, it was also the first method by which you could sequence directly from the genome without amplification or cloning, which was very unusual. It predated PCR [polymerase chain reaction], but in a way, it outdid both cloning and PCR in that it could sequence unamplified DNA. I applied that to two pretty hot topics, which had to do with immunoglobulins — immunoglobulin introns — which were new. Turned out they had functions inside them, which were enhancers, and I found evidence for enhancer-binding proteins. So enhancers were brand new. Introns were fairly new. And here we have an assay for function inside of the intron enhancers. That was a good enough thesis that I basically got my professorship at Harvard two years later based on the thesis. I had almost nothing to show for my postdoc. I did six months at Biogen, kind of wrapping up my thesis, and then I did a year and a half in Gail Martin’s lab [at the University of California at San Francisco], which was an amazing lab, but it was pretty far from my thesis. Q: She did more developmental biology? A: Yes, developmental biology. She was one of the few embryonic stem cell researchers in the world. This is in 1984. I figured I would apply genomic sequencing or something like it to developmental biology somehow. So I learned it, but ’85 was way too early for stem cells, and we needed a bunch of new technologies. At this point, the same girlfriend that I waited for, Ting Wu, had gone to Stanford, decided she didn’t like her project, and she went back to the East Coast. So I tried my best to get back to the East Coast. My friend from graduate school, Gary Ruvkun, was just starting as a professor in the [Harvard] Genetics Department, which was a new department. They had an actual tenure track, which meant that everybody had a chance at tenure, at least. So I applied. A Harvard talk that I gave was mostly based on my thesis, [but] I did mention at the very end that I wanted to sequence the E. coli genome. This was a new concept, the idea of sequencing a whole genome. This was 1986. The first genome was still eight years away, so this was fairly visionary. I had a new technology as well, so it wasn’t just, oh, I’m going to do something ridiculous. I showed them one slide of actual data from my new technology. The room was packed, not because of the sequencing, but because the title was “Functions of Introns in Immune Genes” — or something like that. Immunoglobulin introns and enhancers were very popular. I’d only been away for a year and a half, and so I had a lot of friends in town. It was kind of artificially packed. Q: You didn’t look back, right? A: I did not, and I got an HHMI [Howard Hughes Medical Institute grant] straight out of the box, which was very rare at that point for assistant professor. I got a DOE [U.S. Department of Energy] grant about the same time. That was my first grant, and it was the first Genome Project grant. Q: So this was ’87 by now? A: About ’87, yeah. I was having a great time, because between the HHMI and the DOE funding, I didn’t have to write any more grants for a while. Plus, I had my startup money from Harvard. But there was some baggage and some problems that came along with the Genome Project. Wally Gilbert and Sydney Brenner were leaders in the field, and they basically said, what we need are warehouses full of technicians. Wally called them “mindless technicians with Walkmen,” and Sydney called them “a penal colony” to work off any infractions you had made in scientific misconduct. I’m trying to recruit graduate students to do this in a creative way while these two leaders of the field are making it sound like a terrible job. And then the entire Microbiology Department here at Harvard Medical School — it’s very rare you get a department to agree on anything, but they could agree that the Genome Project was a bad idea — and they wrote in to Science or Nature. And I’m thinking, what a terrible way to start as an assistant professor. Q: The project aimed to sequence the human genome for the first time. What did they think was bad about it? A: The project was poorly framed, but I didn’t have much say in it. My framing was this should be technology development where we bring down the cost and we apply it to microorganisms first. But the framing of the old guard was we should use existing technology, scale it up in an industrial way — like Toyota or something — and spend $3 billion for three billion bases, a number they kind of pulled out of the air. The costs at the time were probably higher than that, but it was a reasonable goal. It was an inconceivable amount of money at the time. Typical grants were $100,000. And skeptics were thinking of this as $3 billion going into one professor or a small team. That was critique one. Critique number two was that it was junk DNA, it was 99 percent junk, and why should we spend 99 percent of $3 billion on something we didn’t care about? Why couldn’t we be more selective? And even the 1 percent was going to be uninterpretable. The interpretation was going to come from the $100,000 grants, not from the $3 billion grant. The third critique was that once you started something of that size, you could never stop it. It was like a juggernaut. All of these were fair critiques, and I actually kind of sympathized with them, even though I was gung-ho on the technology side. I was disappointed that there was so little technology and that it was far too expensive. Three billion dollars was an unsustainable number. We might get to the end of the first one [genome], but we would never do a second one, and that, to me, was very disappointing. I also felt that there was too much emphasis on the human genome, rather than comparative genomics, which was an uncoined term at the time. I felt like the interpretation problem could be largely handled if you compare sick vs. well, E. coli vs. salmonella, worm vs. fly. There were a bunch of comparisons you could do that would immediately add value. Eventually the field caught up to some of those concepts and quickly brought some leaders into the fold that had been critics. Q: Clearly, there have been many developments over the years since. What would you say are the biggest successes? And are there particular failures, stumbles along the way, that you may have learned something from? A: My experience with crystallography [at Duke] was successful. We still use the coordinates of transfer RNA in many people’s research. The concepts from my thesis of multiplexing and barcoding were good. Some of the ideas I had about DNA nanostructures I didn’t publish, and so I think they were a failure in a communication sense, but my lab and other labs are back to making that a success. Some of the failures were just timing things. Nanopores and DNA nanostructures were things that I came up with — in ’88 for the nanopore sequencing, and the nanostructures was ’77 — and they’re just now coming into real-world uses in 2016. So I consider that a kind of failure. Some people say, oh, wow, you’re ahead of your time. But I think that if you haven’t really filled in the blanks, connected the dots, you’re not really ahead of your time. You’re just dreaming. Q: How many companies have you started? A: The narrowest definition of “start” means you’re formally listed as a founder. So I’ve founded about one company per year since 2005. This year, if all goes well, I will be involved in founding nine companies simultaneously. It’s not only unusual in the number, but it’s unusual in the type. The ones from 2005 to the present were mostly some other professor or some venture capitalist working with me on a new idea, and then we hire businesspeople and scientists to do it. It’s really pretty low-maintenance. But when nine of your postdocs each want to start a company, and you have to mentor them — of course, I was mentoring them anyway as postdocs, so it’s not that much harder than what I would normally do, just a slightly different set of conversations. But it is unusual, and it’s an experiment. I don’t know how it will turn out. I don’t plan on doing that again. Q: Why do you feel it’s important? A: Here’s an argument about why such startup companies are important. If you’re going to make a discovery, you can publish it in a journal, and hopefully it gets discussed in review articles, and that’s it, you’re done. But if you’re making a technology, you can write primary articles and review articles until you’re blue in the face, and nobody’s going to do it. It’s not sufficient to just write out a patent and lob it over the fence. You have to accompany it. It doesn’t take that much time to do that, but it’s not zero. Probably 10 percent of my time is spent making sure that the technologies that I work on get a fair shake in the marketplace. Q: Another important part of your public persona is as an advocate for genomics, genetic engineering, synthetic biology. A: I’d like to think of it more as a communicator than an advocate. It’s an important distinction, because I think there’s a caricature of scientists as advocates and cheerleaders where they might even be blind to where it’s going. I think my lab and I have authored a lot of papers of a cautionary and bioethical nature, but not just of the hopeless, hand-wringing variety. It’s more like, here’s a problem, potential solution, potential problem created by the solution, potential solution to the problem created by the solution. It’s important to talk about things before they exist, because sometimes these things sneak up on you ridiculously quickly. For example, next-gen sequencing was supposed to take six decades by Moore’s law, which is a pretty aggressively optimistic law. Sequencing didn’t take six decades; it was more like six years. CRISPR came out of nowhere. It’s hard to believe that it’s only three years old, considering all that it’s done. My experience is that things happen much faster than you would expect. It’s not about cost overruns and multiyear delays. It’s more about, oh my gosh, it’s 60 years early. Q: When did you first think that you really should start thinking about bioethics? A: There’s a big feeling you shouldn’t talk about things that you’re not expert on, and you define your expertise very narrowly. One of my colleagues about my age said that over the years, his specialty got narrower and narrower until he was the world’s expert on something he no longer cared about. One of the first things to go out the window is anything having to do with humanities and philosophy and ethics, because that just seems too flaky and fluffy. But I never felt dismissive. The first time I really felt responsible — when would that be? In the beginning of the Genome Project, we had this thing called ELSI: ethical, legal, social implications. Genome Project started around 1990, and it must have been around then. Around 1999 I felt that there was some possibility we’d be sequencing human genomes with next-gen sequencing — plural, not just singular. And I said, we’re going to be doing this. I need to get IRB [Institutional Review Board] approval to do human subjects research. I had no clue as to what that was, but I just knew I needed to do it. So I applied for it, and as I’m doing it, I’m realizing, this is really wacky. They’re promising anonymity and sharing at the same time. How do they know that the data’s not going to escape and get re-identified? It seemed like both were provably going to happen. And what if you discover something that could save a patient’s life? [Because of anonymity] you can’t tell them. So I said, these are three things that are really messed up. The fourth thing was that the consent forms were written by lawyers for lawyers to protect the institution, not to protect the person, which is what everybody said that they were for. So these four things were messed up, so we came up with Personal Genome Project. Q: The Personal Genome Project’s data is open access, with subjects having no promises of anonymity. You said that’s a more honest way to approach this kind of research. But is that also important from a scientific standpoint? A: We wanted something somewhat inspired by open software and Wikipedia. We wanted something where you could share human biological information, where if you wanted to make software that would handle a real human being — in a way that a physician might appreciate, which might include everything about them, their anatomy, their physiology, what they eat, and so forth — you could do that. You would need a big dataset about a person that’s all interconnected, rather than shredding it into pieces [to make it anonymous] and losing information. Some of the proposals were to actually inject bits of false information so that people would be uncertain as to how to identify somebody. But you would also be uncertain about the science. And they said, well, the statistics can overcome the uncertainty on a population. And I just said, you know, we have enough trouble even when we have good data. Same thing with Personal Genome Project. I think it now is the norm to return information to individuals. It’s the norm to be able to share things in a way where you don’t have to strike up a special deal. Some of them are more open than others, but the point is it’s now the norm to share, and it’s the exception where you coerce investigators to include you as a coauthor just because you’re using their data. Q: You mentioned that you’re working to bring down the cost of genome editing and gene therapy. Is gene therapy, to your mind — with direct applications to human health — the most important thing going forward? A: I’m not sure gene therapy is, but the applications to human health, definitely. And I’m certainly not convinced that CRISPR is the only way to achieve gene therapies. In fact, 2,000 gene therapies are in clinical trials, and a tiny minority are any kind of gene editing, and none of them are CRISPR. That’s obviously going to change. One of the companies I helped start, Editas, will be doing this within a year. I think that things that affect human health are the gene drives which can affect malaria, which has been recalcitrant to vaccines and drugs, and things like Lyme disease — the same story. Q: And with gene drives we’re addressing the vector, not humans directly. A: We’re addressing the vector. We can spread a bit of selfish DNA through the sexual reproductive cycle in rapidly reproducing organisms like the white-footed mouse — vector for Lyme disease —and the Anopheles gambiae mosquito — vector for African malaria — and maybe mosquitoes for Zika virus if that doesn’t have other solutions. Those are big public health issues, and dengue virus and a lot of nematode diseases and so forth. Time and again, you’re seeing resistance to pesticides, herbicides, and antibiotics. Gene drives provide an alternative to that. The mosquitoes do all the work for you, and you just have to drop it from airplanes. Again, you have to do safety testing and get multigovernment approval, but it’s much easier to do that than to have medical foot soldiers who go to remote villages trying to find every last person to vaccinate them. Q: Are you concerned about unintended consequences? Species have been introduced with the best of intentions and turned out to be invasive. A: Many of the things that my lab does, we accompany with a warning of some sort and research on how to make it safer. There’s safety engineering in almost every field of engineering and we’ve tried to champion that in molecular and biological engineering. Sometimes, when we talk about it in advance people say, oh, this is science fiction. But in 2014, we said [of gene drives], look, this time it’s going to really work. Here are some things to consider — ways to make it safe so it can’t escape from the lab, ways that once you do deploy it, if you want to alter it, you can do a reversal drive or an alteration drive. And by 2016 it does work already in four species. You need to talk about it in advance so people can see the problems with the fixes, the problems with the fixes to the fixes, and so forth. We proposed that we and others would develop reversal drives and test those in a physically-contained laboratory environment to see if they worked, and they did. And we also came up with safety mechanisms that would keep it in the lab. We were trying to focus on defense, because we felt it was going to be too easy. For $50, [someone] could do a CRISPR gene drive and eliminate whatever organism they don’t like. Since there are probably 7 million species and 7 billion people, probably everybody has several organisms they don’t like, and you could end up with nothing, which would be a tragedy. So there should be some way of having the discussion, and if somebody goes rogue and does it, a way of handling that. Q: What advice would you have, reflecting on your own career, to a student who looks at what you do and thinks: that would be really cool. A: The problem with getting advice from people who have managed to dodge all the bullets is they don’t necessarily know how they did it. All the failures I’ve overcome? That’s much more important than any successes. I had to repeat ninth grade. I had to repeat the beginning of graduate school. I lost my major source of funding just before I came up for tenure. One of the major things — news flash — that they judge you on for tenure is whether you can support yourself. In each case, it helps if you can think out of the box and think of a new way of doing things. The other thing is: Follow your dreams, even if it does mean taking a risk. If you’re not failing, you’re probably not trying as hard as you could be. And being petrified of failure means you’re going to be probably a very extreme underachiever. One of the things we recruit people for in my lab is being nice. That’s the ethos we try to encourage. “Nice guys finish last” — isn’t that a terrible message to be sending to the next generation? I think what goes around comes around. You have to really want all the teams to succeed, all the boats to float. You want your competitors to not fail. It’s hard enough to get progress in the world if everybody’s succeeding. "“I didn’t see myself being in a place like [Harvard], but teachers saw that in me," says first-generation college student Jesus Moran '16. Moran will teach in a California high school next year as part of the Harvard Teacher Fellows program.